Dystopia and Natural Resources Crisis or Technological Utopia? Could you write the next term of the sequence? No offence, but this sequence is sometimes referred to as the “idiot’s sequence” and it’s one of the most popular and well-known logical puzzles. Much less known, however, is its origin. “The story starts in the school cafeteria, where Lisa sits opposite Martin Prince, who is perhaps Springfield’s most gifted young mathematician. Martin solves the puzzle in the blink of an eye, but Lisa remains perplexed. She gradually becomes more and more frustrated as students sitting nearby, including Bart, say that they can identify the next symbol in the sequence. It seems that everyone can work out the answer…except Lisa. 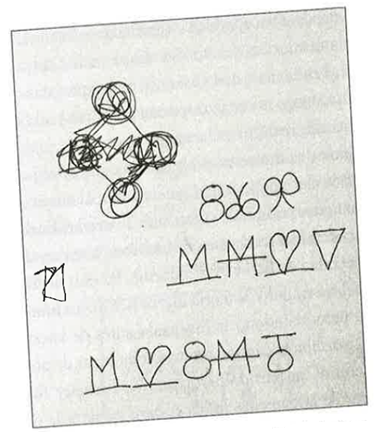 Although David S. Cohen cannot remember if he suggested the puzzle that appears in “Lisa the Simpson”, he certainly drew the initial sketches. The puzzle, almost as it appeared in the episode,is in the lower line of this page of doodles. Solving the problem relies on noticing that the left and the right halves of each symbol are mirror images of each other. The right half of the first symbol is 1, and the left half is its reflection. The right half on the second symbol is 2, and the left half is its reflection. like the one preceding it. 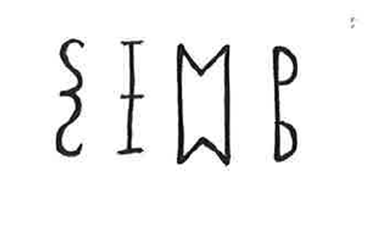 The second consists of the letters Simpson (S I M P …) with its attached reflection just below. The next term would be the same as the initial one. The third series is formed by superimposing the Roman numerals I, II, III, IV and vertically arranged horizontally. 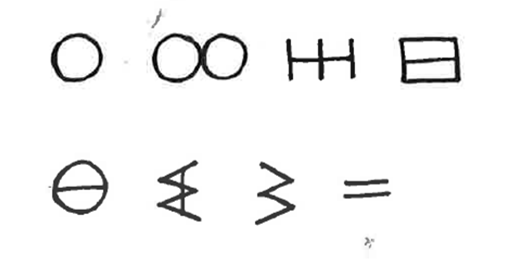 The next symbol would be a superposition of two Vs. In the fourth sequence, the first term is formed in the left half by the number 2 and in the right half a 2 turned upside down. Next, the left half is 4 and the right half is 4 upside down. The third is a 6 and an upside down 6. The fourth an 8 and another inverted 8.